SOS launch new Inclusive Badminton Session! 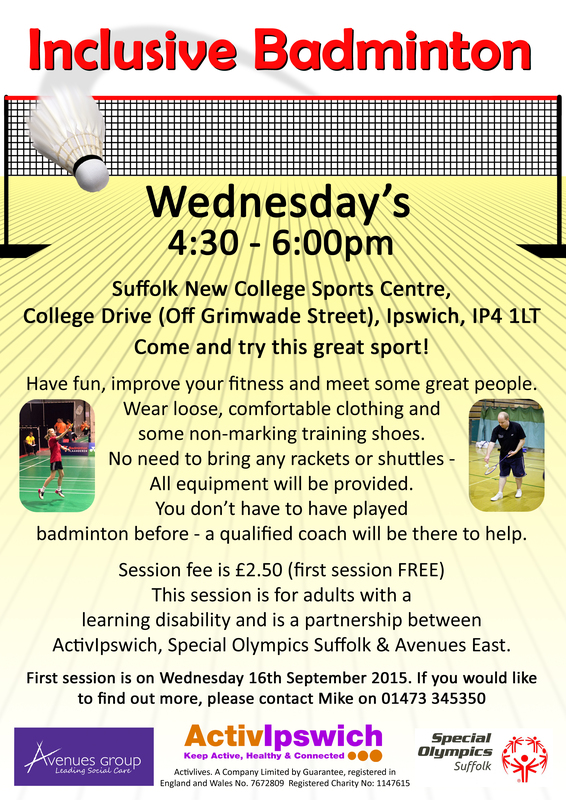 An exciting new project being set up by ActivIpswich aims to give residents in Ipswich with a disability the opportunity to play badminton in a relaxed and welcoming setting. Community Action Suffolk recently recognised Special Olympics Suffolk for its excellent work in the community. We’re proud of our work and here’s our certificate for The Colonel Probert Award.